The FBI today confirmed what many had suspected for the past month, that North Korea is responsible for the massive hack that crippled Sony Pictures, and ultimately lead to the studio cancelling the release of their Christmas Day comedy The Interview. North Korea originally denied any involvement in the cyber-attack, which began on November 24 when the entire studio's computer network was completely disabled, but the country had also praised the hack as well, calling it a "righteous deed." 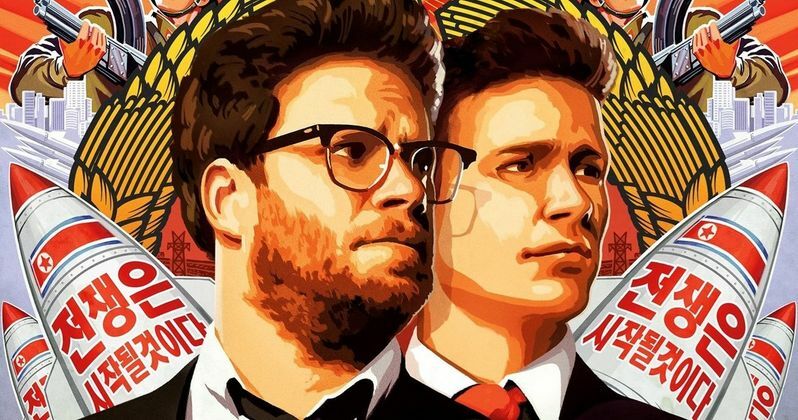 North Korean leader Kim Jong-Un had previously denounced the movie back in June, while the country's United Nations ambassador called the film, which stars James Franco and Seth Rogen as a TV host and producer tasked with killing Kim Jong-Un (Randall Park), an "act of war". Take a look at part of the FBI's official statement below, then read on for more details. The FBI also observed significant overlap between the infrastructure used in this attack and other malicious cyber activity the U.S. Government has previously linked directly to North Korea. For example, the FBI discovered that several Internet protocol (IP) addresses associated with known North Korean infrastructure communicated with IP addresses that were hardcoded into the data deletion malware used in this attack." CNN also reports that the hacker group responsible for this unprecedented cyber-breach, the G.O.P., sent another message to Sony Pictures, following their cancellation of The Interview's release. The message also reveals that attacks will stop, if the movie is never released, in any way shape or form, and that everything tied to the movie, including trailers and other materials, must be removed immediately. Take a look at the message below. "It's very wise that you have made a decision to cancel the release of The Interview. It will be very useful for you. We ensure the security of your data, unless you make additional trouble. Now we want you never let the movie released, distributed or leaked in any form of, for instance, DVD or piracy. And we want everything related to the movie, including its trailers, as well as its full version down from any website hosting them immediately."